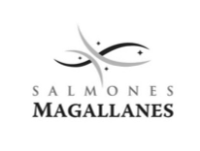 Advisor in the sale of 100% de Acuicultura Acuimag S.A and Pesquera Edén S.A. to Empresas AquaChile S.A. Exclusive advisor to the shareholders in the sale 100% of Aguas Chañar to Marubeni Corp. and Toesca A.M. Exclusive advisor to Ripley in the split-off of Aventura Plaza S.A. Exclusive advisor to Ripley in the exercise of right of first refusal of 16.7% of Inmobiliaria Viña del Mar S.A. Exclusive advisor to Danone in the sale of 100% of Danone Chile to Watt’s S.A.
Advisor to Colbún in the acquisition of 100% of Fenix Power Peru S.A.
Advisor to Grupo Inalen S.A. in the acquisition of 100% of Triumph Chile and its subsidiary Cotys S.A.